Home » Who doesn’t want peace in Afghanistan? The United States has killed the leader of the Afghan Taliban Mullah Mansour in an air strike in a remote border area in Pakistan, Afghanistan officials said on Sunday. This attack is likely to dash any immediate prospect for peace talks. Earlier representatives of Taliban after a successive spring offensive expressed their readiness to participate in peace negotiations. The main problem was the participation of the USA representatives. Earlier it was the main reason for Taliban to quit the peace talks. The main result of the US drone strike will be a battle for succession and strengthening of the most radical elements within Taliban, who previously opposed the modest steps towards peace from Mullah Mansour. Afghanistan has always been a highly important region in terms of geopolitics. For two centuries they have guarded the area that connects the Heartland to Hindustan and the Indian Ocean. Akhtar Mohammad Mansoor was elected as the new leader of the Taliban in July of 2015 after the rebels confirmed the death of their previous leader, Mullah Omar. His appointment provoked an internal split within the movement. He was accused of having links to the Pakistani Inter-Services Intelligence (ISI), but however, the majority of the Taliban leadership was connected to Pakistani Security forces. Sources in Taliban circles said that the Taliban representatives in the Middle East, primarily in Qatar, did not support the candidacy of Mullah Mansour. Qatar based representatives of the Taliban also rejected the negotiations between the Taliban and representatives of the official Taliban government that were held in Islamabad in July 2015. At the same time, the most radical branch of the Taliban, which also rejected the path of negotiations, was re-branded as ISIS, and initiated the conflict against their former brothers-in-arms. The death of Mullah Omar postponed the planned negotiations on peace process promoted mainly by China. Today we see the same in Mullah Omar case. The responsible leaders, who are ready to participate in difficult, but planned talks, are killed by the US, giving the path to radicals. Taliban leader Mullah Akhtar Mohammad Mansour expressed his support for a more continental-orientated strategy. Previously, he had made a declaration on the need for the withdrawal of all foreign troops from Afghanistan, without any exceptions, and the abolition of the security agreements with the United States, so that peace can be established in Afghanistan. In another part of his declaration, the killed Taliban leader had said that the movement does not represent a threat to the country's northern neighbors, and that the former Soviet Central Asian countries should not worry about the issue. This was Mullah Mansour’s first official statement since taking over as head of the Taliban. The Russian presidential envoy to Afghanistan, Zamir Kabulov, confirmed that they have methods of communication with the new Taliban leadership. Russia also decreased the intensity of their criticism towards the rebel movement. China continues to see the Taliban as a political force, and continues to promote direct negotiations with them. They maintain ties with the Taliban leadership while, at the same time, ISIS remains openly hostile to Beijing. There is an internal quarrel within the Taliban, as well as internal contradictions between the Afghan and Pakistani establishments, which are related to the interests of external powers (the USA, Qatar, Turkey, Russia, and China). Like in Syria, Qatar supports the most radical Islamists in Afghanistan. 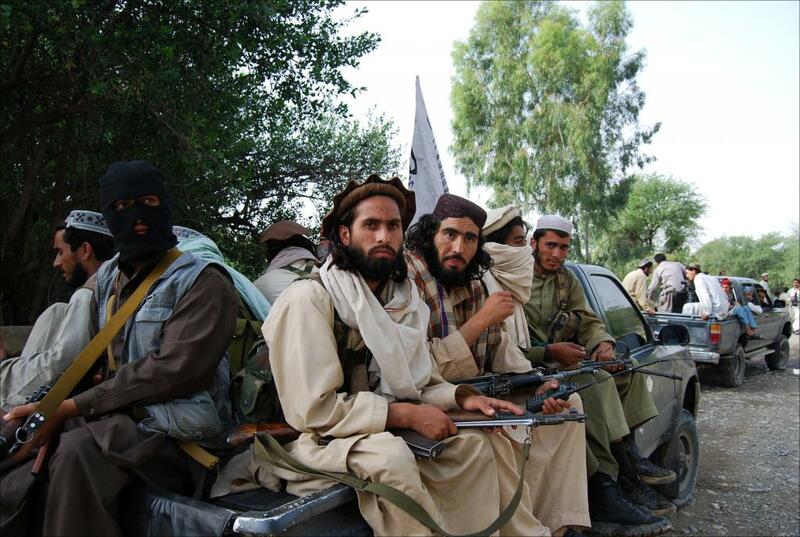 The Afghan branch of the Islamic State operates in the interests of Qatar. The Middle Eastern country is interested in the general destabilization of the situation, and preventing the construction of gas pipelines in the direction of Pakistan, India, and China (the "Peace" pipeline from Iran and Turkmenistan, Afghanistan-Pakistan Pipeline). The interests of Doha, up to this point, coincide with the interests of Ankara, which also seeks to re-orientate the gas flow from both Turkmenistan and Iran. The US is interested in the continuation of instability in Afghanistan; while Washington verbally supports the negotiation process, in reality it aims to derail it. Stabilization can make certain projects more realizable; ones that can diminish the American influence and increase the Russian and Chinese influence. China wants to construct a new line of the "New Silk Road" through Pakistan, Afghanistan, and Iran. The project directly contradicts the US’ plans to contain China, maintain pressure on Iran, and control the region as a whole. Russia plans to construct an oil pipeline to India, which also passes through Afghanistan and Pakistan. This indicates the growth of Russia’s influence in a region that has access to the zone of the Indian Ocean. The project of meridional economic integration directly deters the old Atlanticist Anaconda Strategy toward Russia. The quarrel within the Taliban reflects the clash of external powers, which attempt to use them in the interests of their own geopolitical strategies. In this battle, the Pakistani establishment is divided: one part continues the old pro-American Atlanticist Strategy (among them are many ISI officials), and another tries to take a new course orientated towards strengthening ties with China and Russia, and the development of mutually profitable projects.